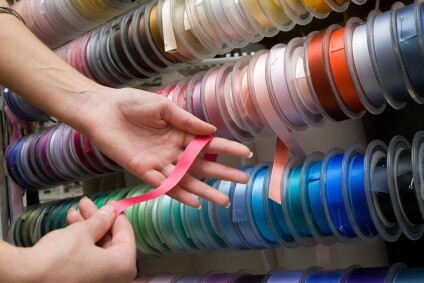 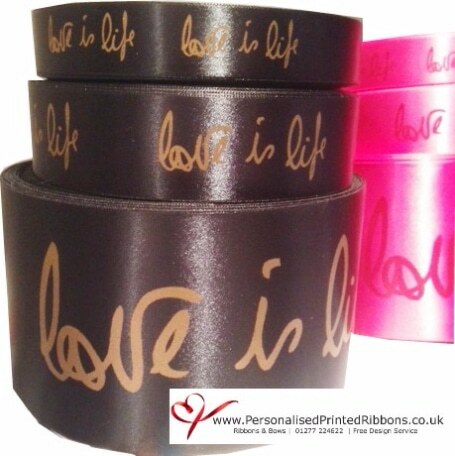 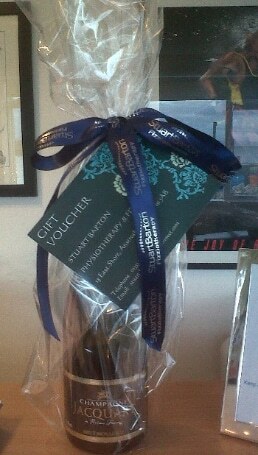 Need a little piece of ribbon to see the colour to try before you buy? 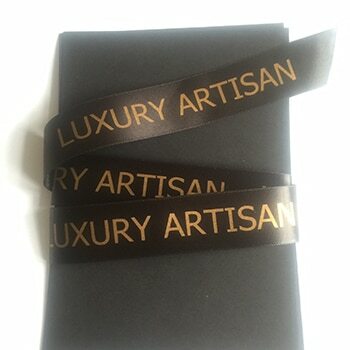 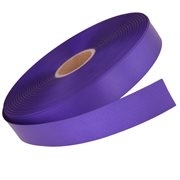 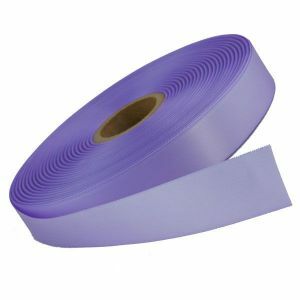 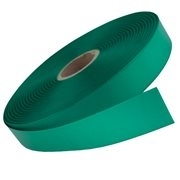 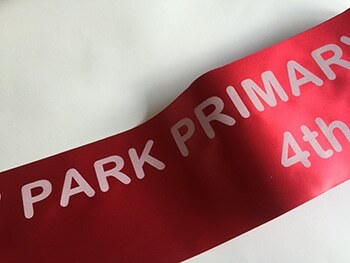 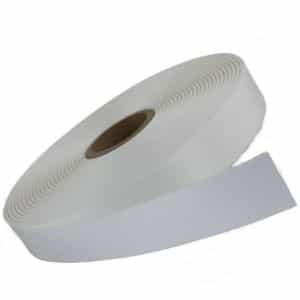 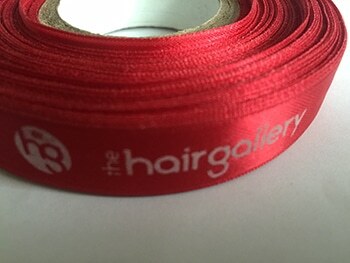 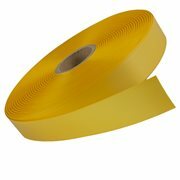 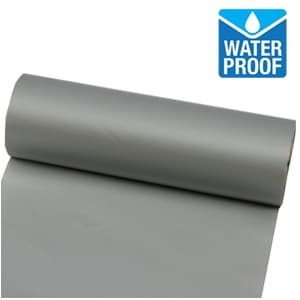 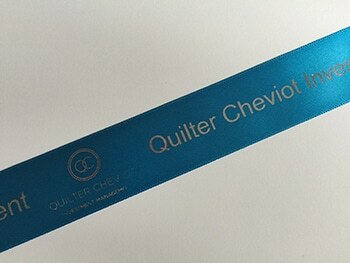 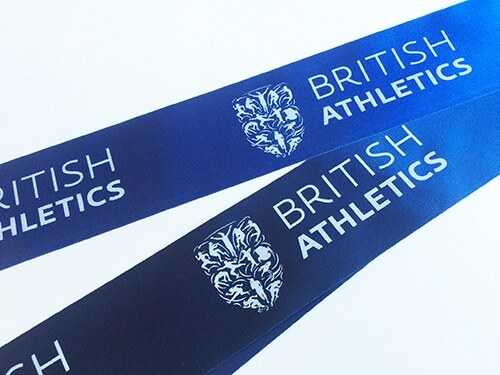 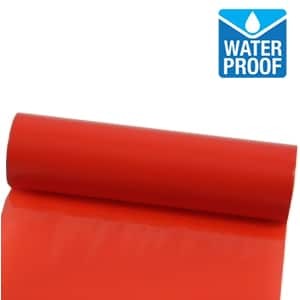 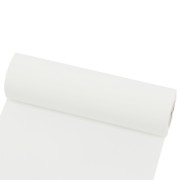 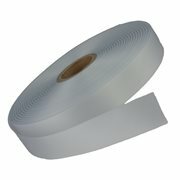 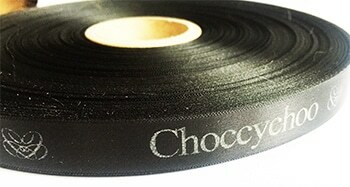 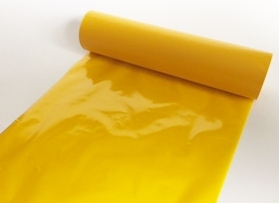 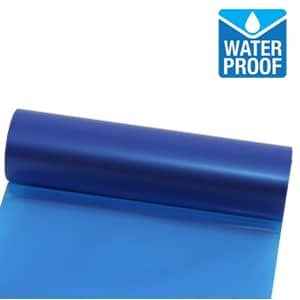 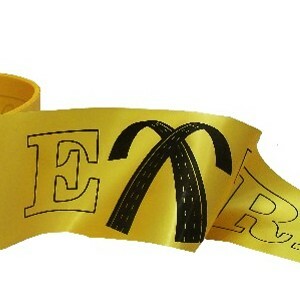 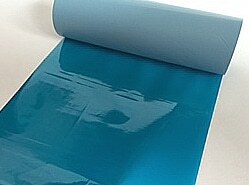 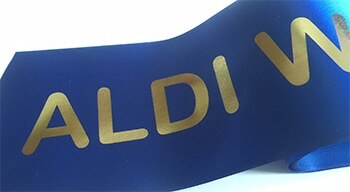 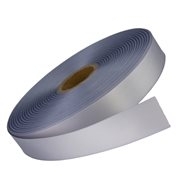 We supply a unique voucher code to refund the cost of your sample on any future printed ribbon orders over 10 metres making your sample free. 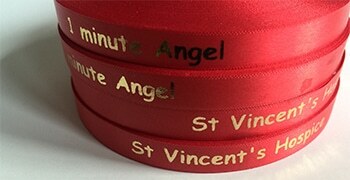 Use the drop down menus and tell us the colour you’d like and we’ll do the rest. 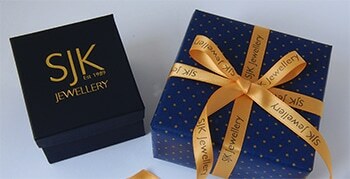 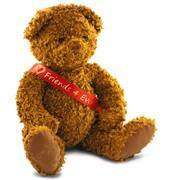 Specify any special instructions in the box provided. 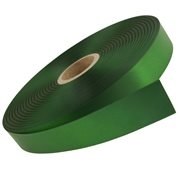 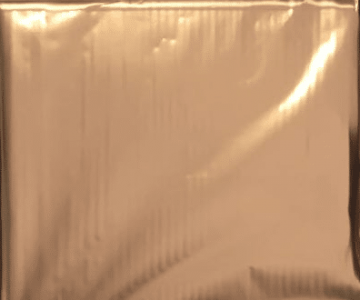 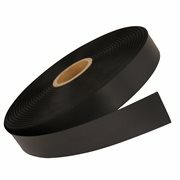 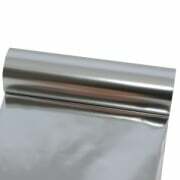 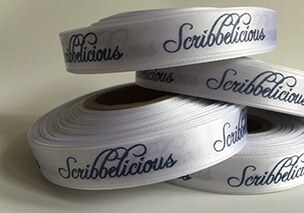 What Width Ribbon Shall We Use? Add Anything Extra You Think We Might Need To Know eg The Space Between Prints, You’d like a PDF of the Layout Before We Go To Print…. 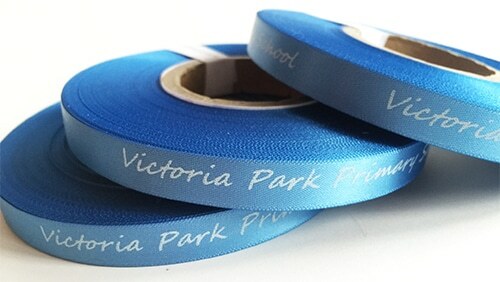 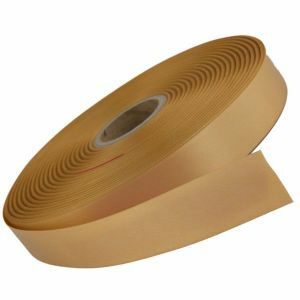 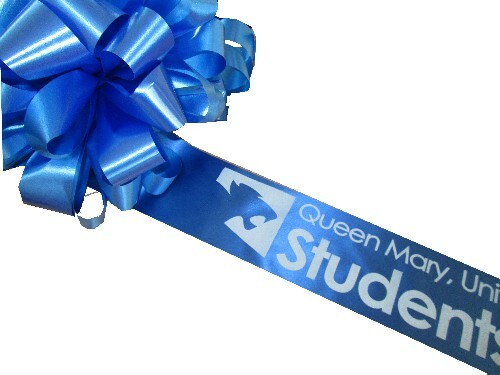 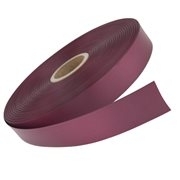 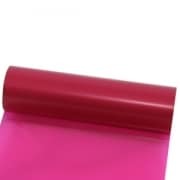 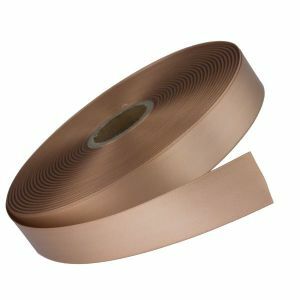 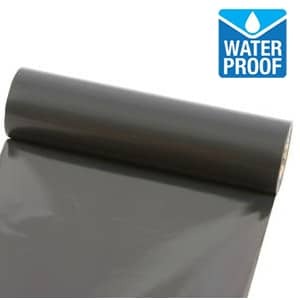 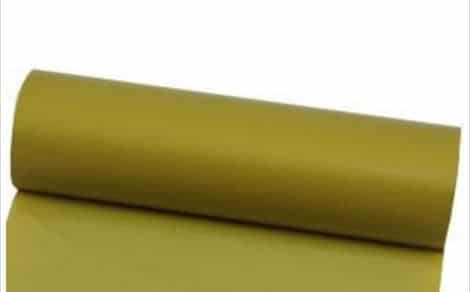 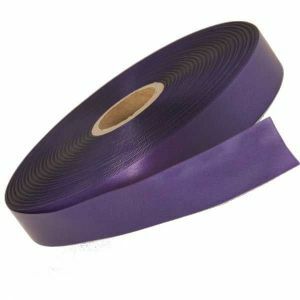 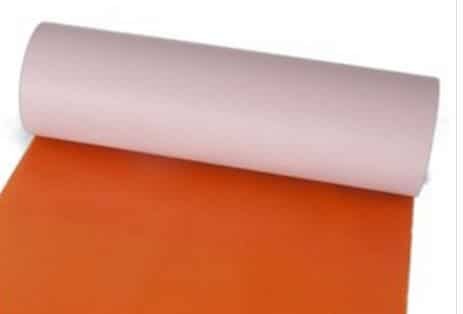 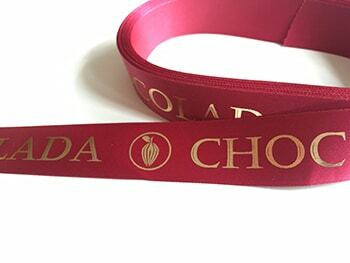 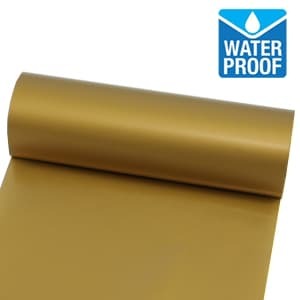 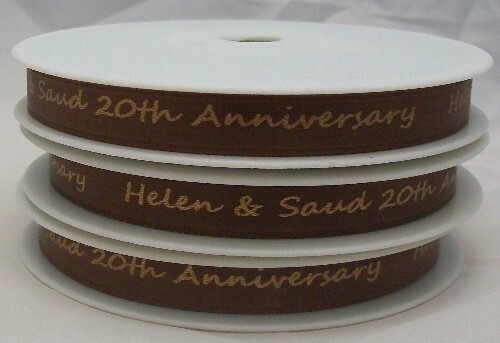 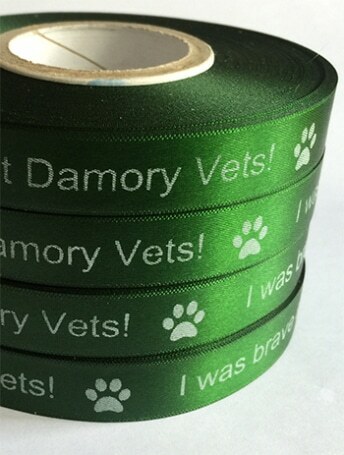 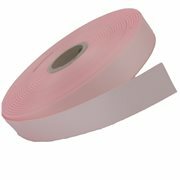 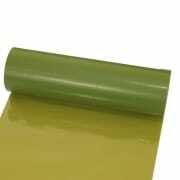 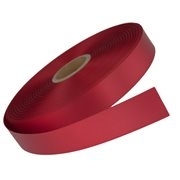 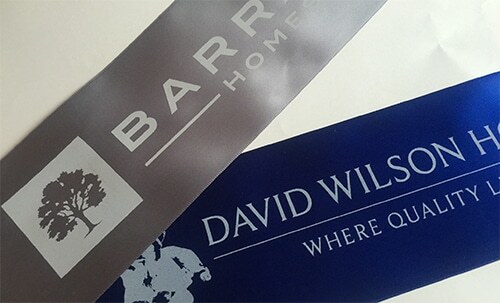 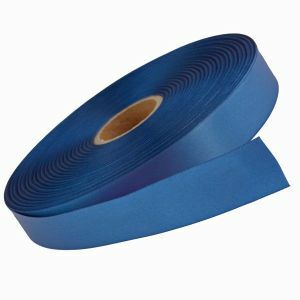 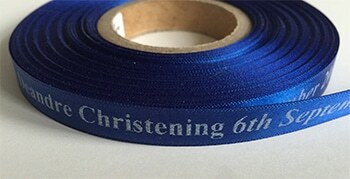 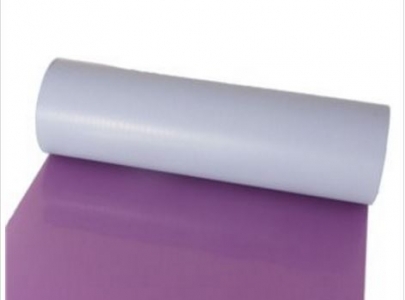 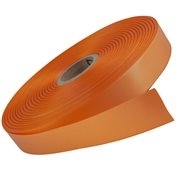 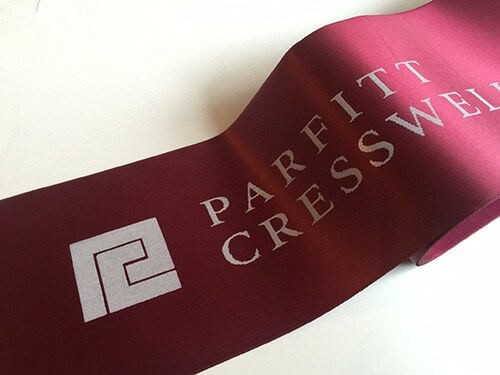 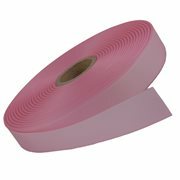 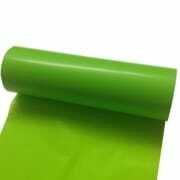 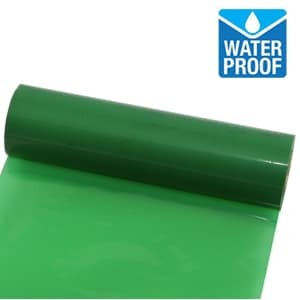 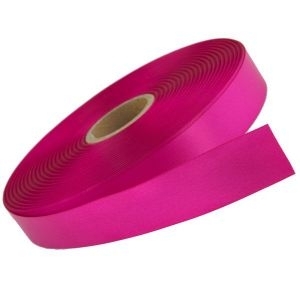 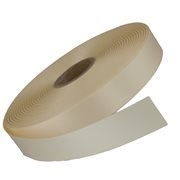 Choose a ribbon colour & width and upload your text and logos if required – Please note delivery can take upto 10 days for samples at busy times but we are normally much quicker. 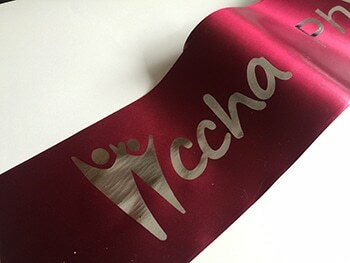 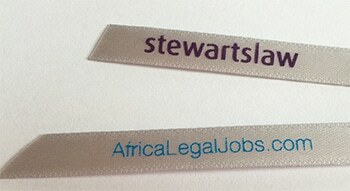 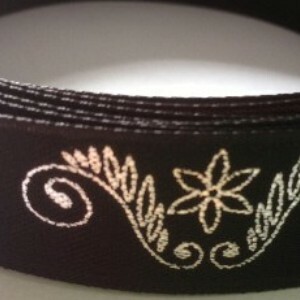 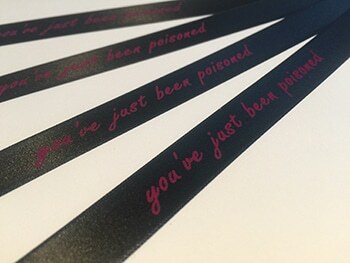 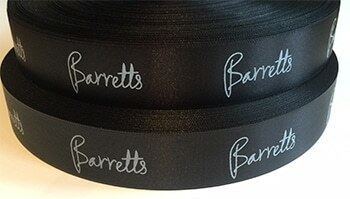 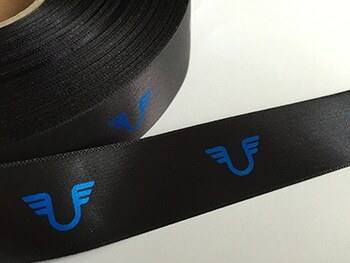 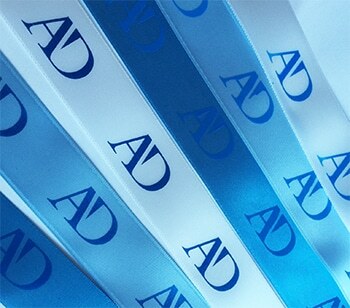 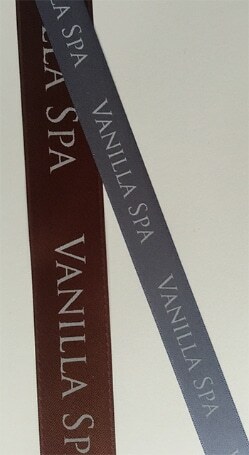 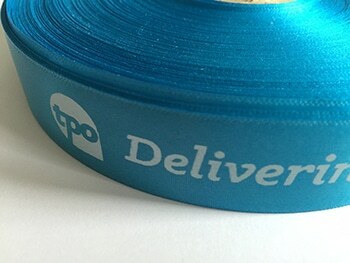 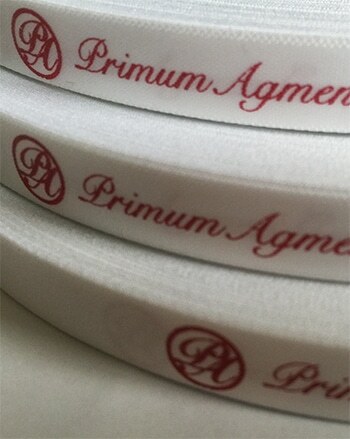 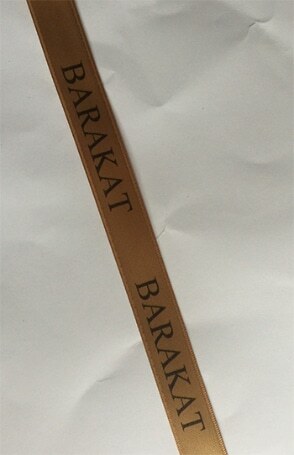 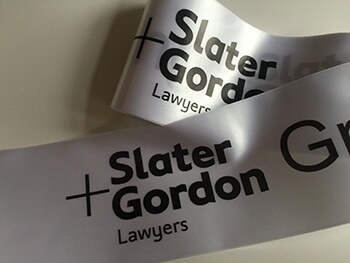 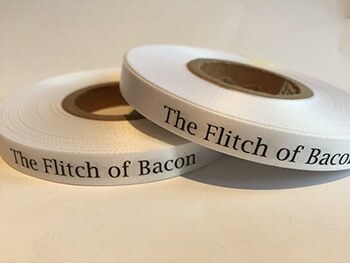 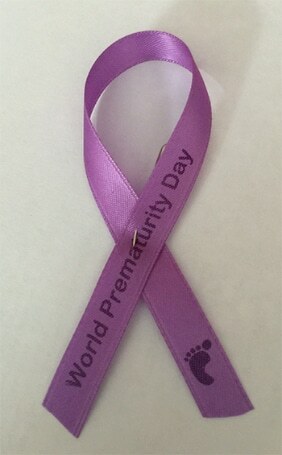 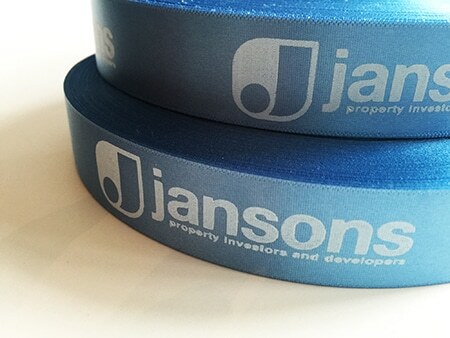 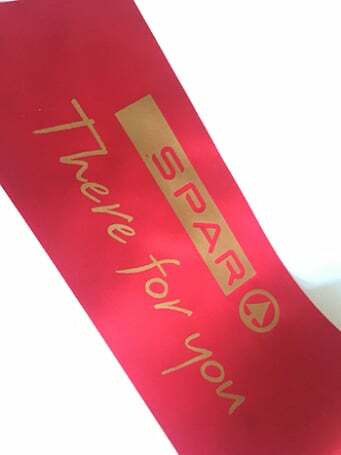 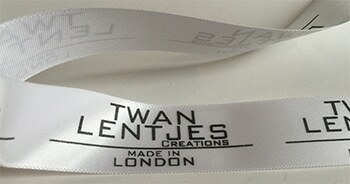 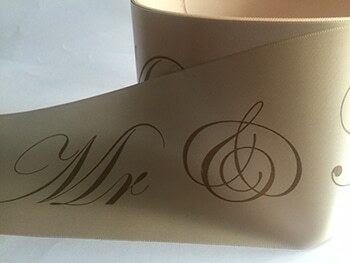 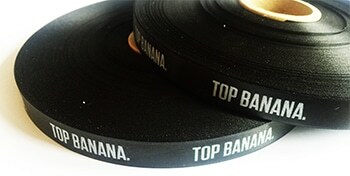 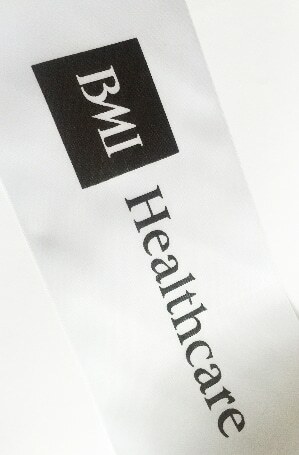 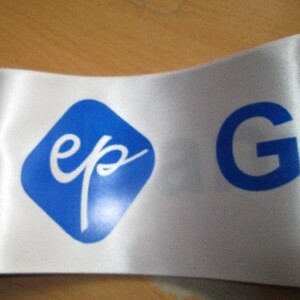 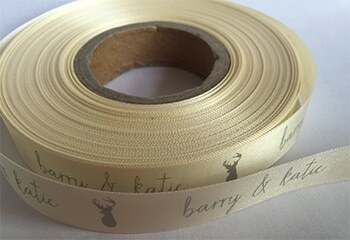 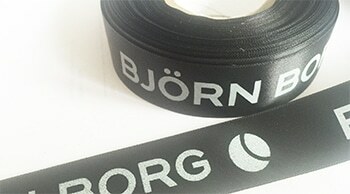 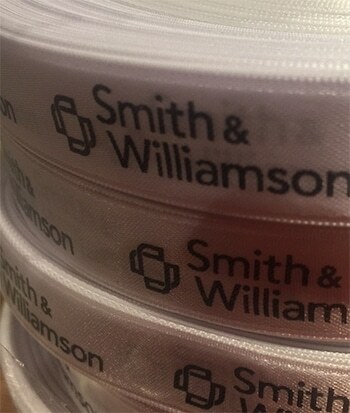 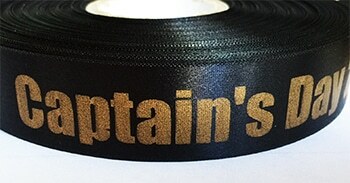 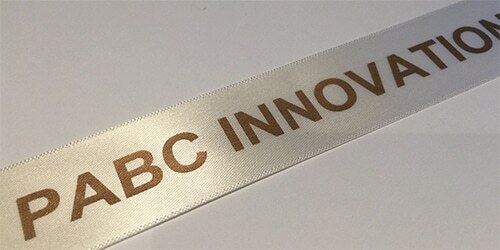 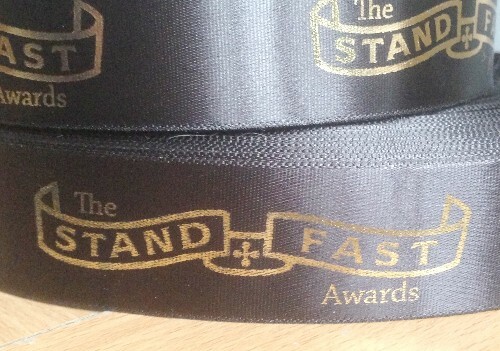 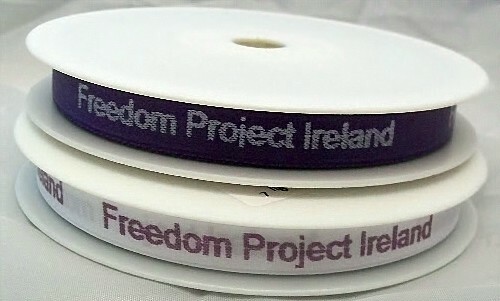 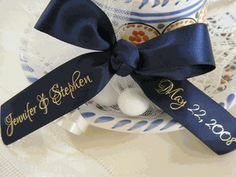 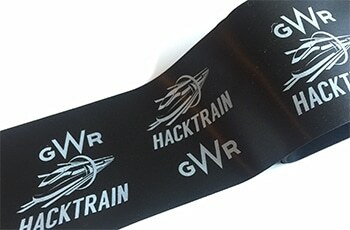 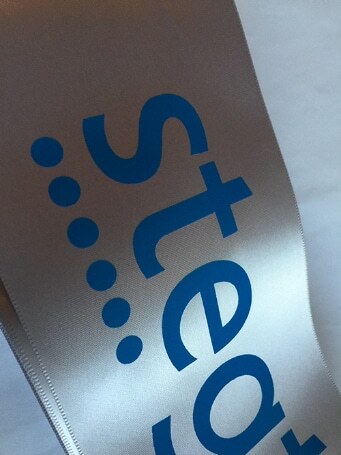 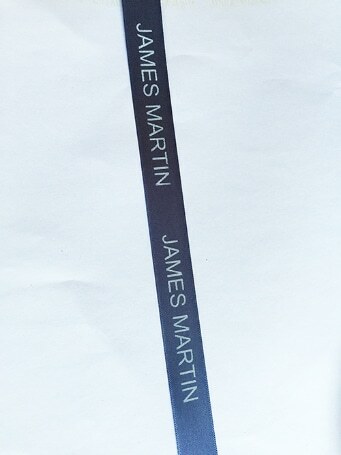 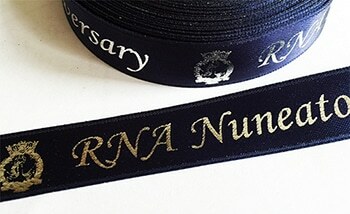 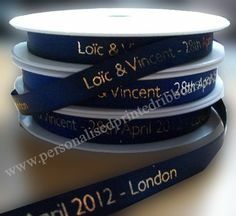 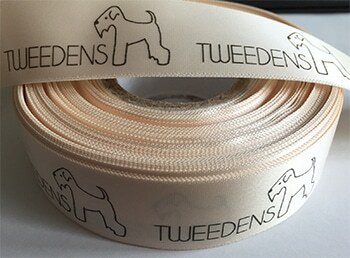 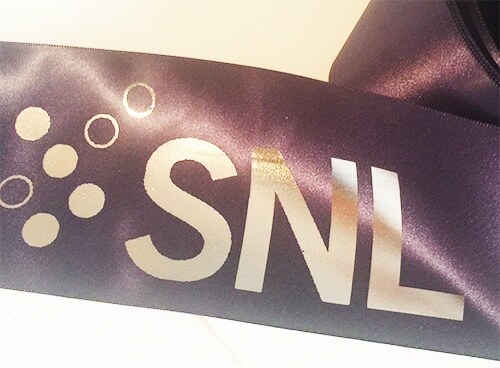 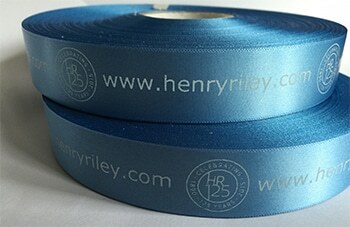 Here are some ribbon we printed earlier !